In addition to creating more than 31,000 direct and indirect jobs, craft beer drives a lot of tourism. According to Travel Portland, in 2014, seven out of every ten adults visiting Oregon’s largest city participated in a craft beer experience. Overall, around 19 million people visited an Oregon brewing establishment in 2016, and these breweries have been generous, giving back an estimated $3 million dollars in product and financial support to nonprofits that same year. Here at The Freshwater Trust, we are proud to partner with eight Oregon breweries for our third annual Brewers Challenge, an industry wide collaborative effort to support our work to protect and restore freshwater ecosystems. These and other breweries, have raised over $11,000 in the last two years alone for this important work. This year, the Brewers Challenge will match contributions from individual donations at our annual benefit, Faces of Freshwater on March 8, leveraging the funding available for fixing the rivers we love and rely on. Clean water is required for great beer, and we applaud our participating breweries for their direct investment in our work, helping to shore up the future of clean water and award winning beer. Thanks to the support of Boneyard Beer, Breakside Brewery, Crux Fermentation Project, Deschutes Brewery, Full Sail Brewing Co., Hopworks Urban Brewery, Ninkasi Brewing and Widmer Brothers Brewing, we can look ahead to another strong year of protecting and restoring our freshwater resources. 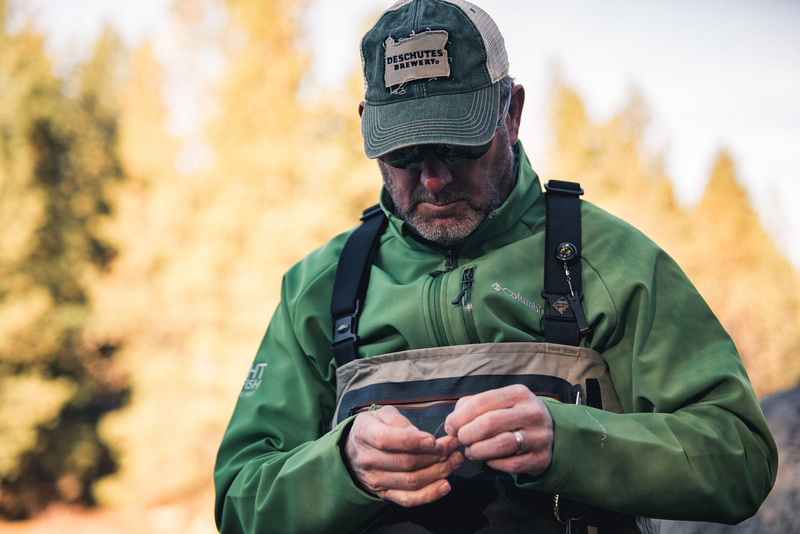 Gary Fish, founder of Deschutes Brewery, is also a flyfishermen. Interested in joining the Brewers Challenge and sharing the love? Oregon breweries can join the challenge by making a tax-deductible donation of at least $500 by the end of 2018. To join the Challenge, contact Karolina Lobrow at karolina@thefreshwatertrust.org or 503-222-9091 x17.